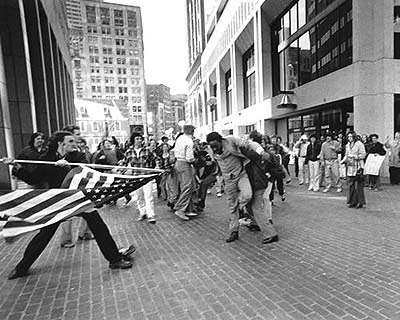 "Millions of people have seen the iconic 1976 photograph of Ted Landsmark being attacked by anti-busing protesters on Boston City Hall Plaza, but few know him by name and most are unaware of his life as an educator and proponent of equal rights in Boston and beyond. While Landsmark concedes he will be forever associated with the Pulitzer Prize-winning photo, he prefers to be recognized for his accomplishments as a community leader in Boston. In an odd twist, being at the center of one of the most significant civil rights photographs in history elevated Landsmark’s profile and gave him the chance to pursue social justice on behalf of many Bostonians."